Happy Friday guys! It's weekend already and I'm up again for another review. If you're following my journey about organic soaps, I'm sure you know that most of them gave positive results on my skin. See all my review here :D I always have high hopes when it comes to organic soap since this came to rescue when my face suffered from adult acne. Almost all the brands that I've tried became my HG or at least a great substitute when I ran out of stock. I thought I'll be forever hiyang with organic soap. This time I'll believe what the hubby always tell me, Life is never fair. At least with me- out of 5 different soaps that I've tried, there will be 1 that will give negative result. And now it happened. 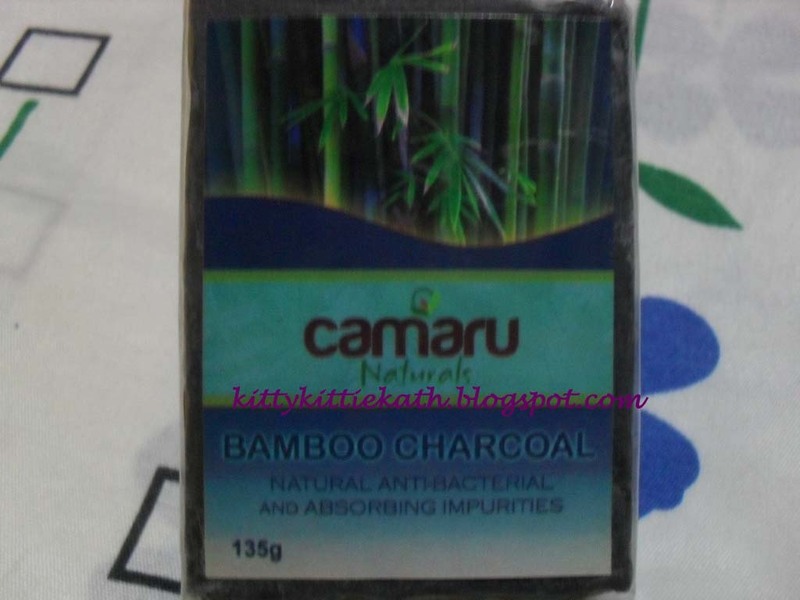 After receiving my Everyday Essentials Loot from The Beauty Junkee, I decided to give the Camaru Naturals Bamboo Charcoal soap a try. I had cystic acne on my chin and right cheek that day so when I arrived home I cut the soap and use it as my facial wash. I used it religiously for 3 weeks, day and night. I know there's something wrong from the very beginning but I just ignored it since I really need to see if there's an improvement on the cystic pimples on my face. I also read positive reviews about the wonders of charcoal in detoxifying skin impurities that's why I didn't hesitated to give it a try. Two weeks after using the soap, my skin was still the same. Cystic acne was still there. My skin got a bad reaction, it's like I had a burned skin on the corners of my mouth and in some part of my face. I still gave the soap another week but I guess that's it, this soap is not for me :( But fret not, I think this soap is still worth a try if your skin is very oil and not sensitive. Don't click the [x] yet, read on to see my full review. 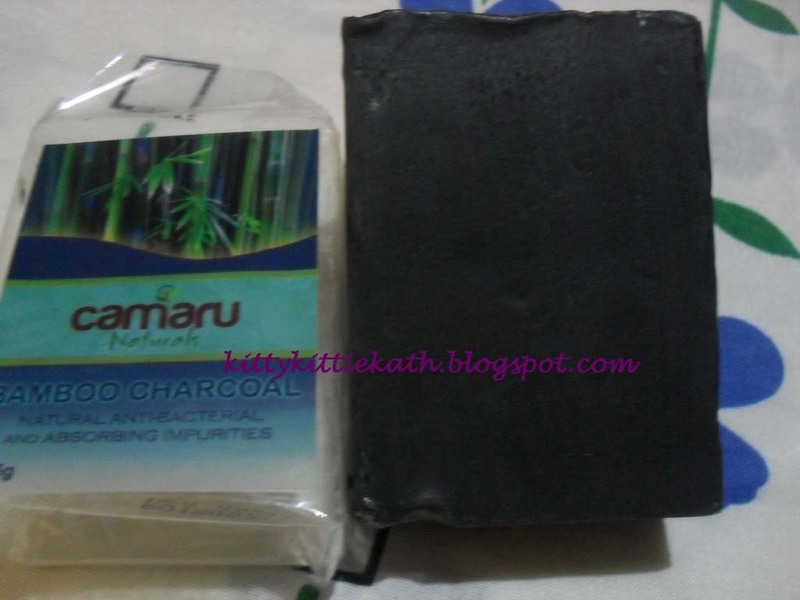 Bamboo charcoal soap is one of the best soaps for acne in the world. It possesses ancient mystical powers that allow it to clean deep down beneath the pores like no soap can. One of the ways it does this is with Activated Bamboo Charcoal. Activated bamboo charcoal is added to the organic soap to allow it to draw dirt from deep inside the pores. This gives the acne skin a clean like no soap can clean and the feeling is quite noticeable. Once our pores our cleaned thoroughly our body provides natural moisturizes back to the acne skin allowing the skin to breathe plus leaving the skin incredibly soft and revitalized. Unlike bamboo charcoal soap most soaps will leave a residue on our skin after washing and this blocks the skins natural moisturizers from coating the skin. If you suffer from acne skin you need to try this wonderful soap. Results are quick and you will see a difference in a few days. Bamboo Charcoal also called "Takesumi" in Japanese, is widely used in Japan to activate skin. This natural element has been used in Japan for many years because of its detoxifying power. It has naturally occurring anti-microbial and anti-fungal properties. It effectively cleanses and unclogs pores, removing impurities and dead skin cells from the top layer of the skin, leaving skin supple, delicate and smooth. instructions for use: Lather directly onto wet skin. Rinse with water. Excellent for use on face, hand and body. Use daily for a smooth, clear and radiant complexion. Very affordable for a 135g soap. Lathers well, forms a rich thick lather. The smell is not overpowering. As much as I wanted this to work, nothing happened with my cystic pimples. It made my sensitive skin more susceptible to redness thus caused a little burned skin on the corner of my mouth. Not readily available, you have to purchase online. No manufacturing and expiry date. Will I repurchase? No. I'll just repurchase the Acerola White C which gave positive results on my skin. I give this soap a 3/5 rating. I envy those girls who tried this because their zits dried up after a day and their skin cleared up in just a month. Don't lose hope with this soap. Maybe it's just me who experienced negative results. I can say that bamboo charcoal is harsh for my sensitive and thin skin. So if you want to try this soap, make a patch test first. Always bear in mind that Natural products can cause allergic reactions. In my case, if the product still gives negative reaction on my skin after three weeks then it's not suited for me. 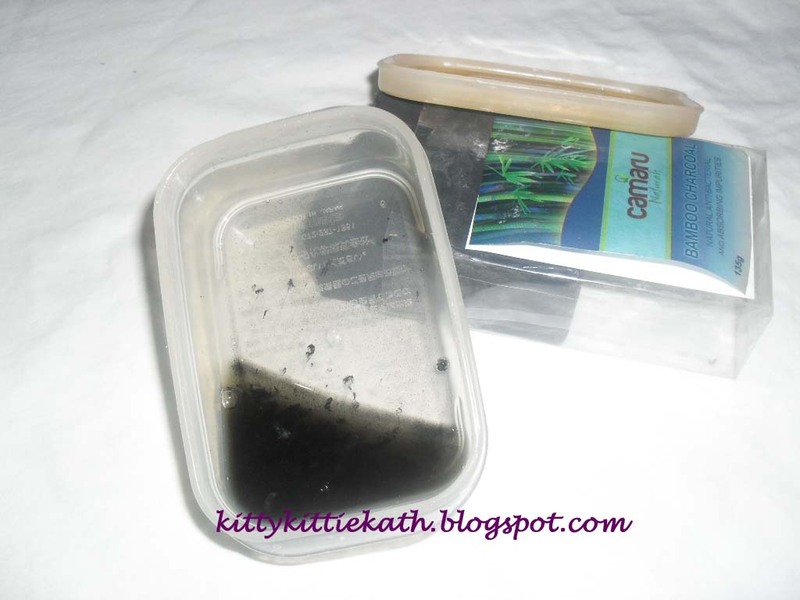 Have you tried charcoal soaps before?How does it fare with your skin? Have a great weekend guys! @Janet- It's sad nga e. Pero ok na din na na try ko at least I'm already aware na if ever may lalabas na bagong brand ng charcoal soap. Yup, pls skip this if your skin is sensitive. Ang hirap kasi magsimula sa umpisa lalo na pag nagiging ok na yung skin mo.